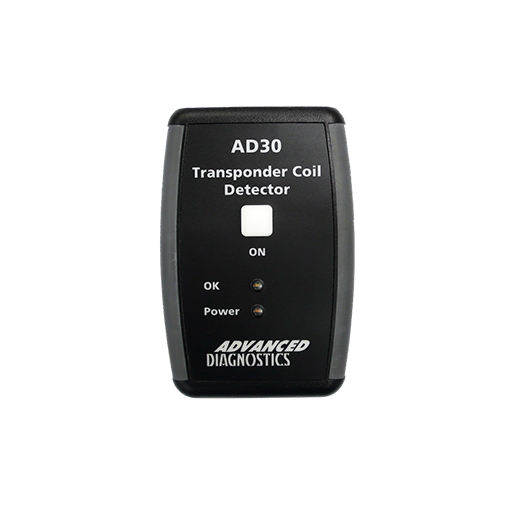 The AD30 Transponder Coil Detector from Advanced Diagnostics has been developed to assist with the diagnosis of all types of immobiliser systems using transponder technology. AD30 works on most makes and models of vehicles worldwide. Diagnosing problems with immobiliser systems can be complex - and there is always the question of “is the immobiliser antenna transmitting a correct signal to power the key transponder”. 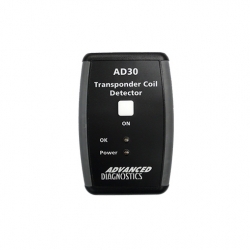 By using AD30, this question can be quickly answered and will save you valuable time when diagnosing.